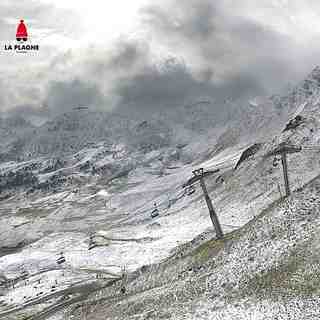 Schneit es monentan in La Plagne ?Vielen Dank! 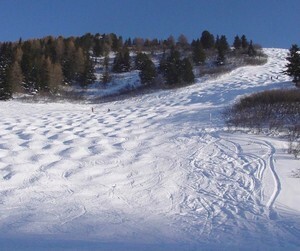 La Plagne is made up of a number of villages that connect to a vast 220 km piste network, within the Paradiski area. With the new Vanoise express now linking Les Arc, it is one of the largest ski areas in the world with over 420 km of piste! And then there is the off-piste...acres of alpine terrain. 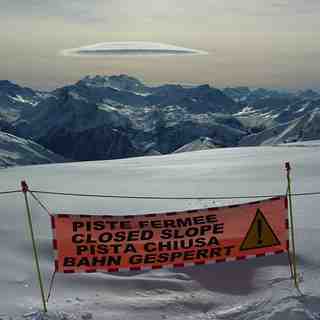 One note of caution; La Plagne has a lot of flat spots so snowboarders often have to do some walking. 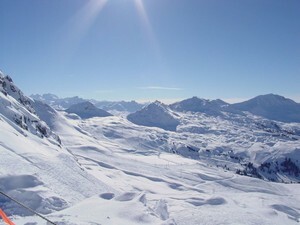 Off the slopes the purpose built resort of La Plagne has enough bars and restaurants to keep everyone fed and watered. 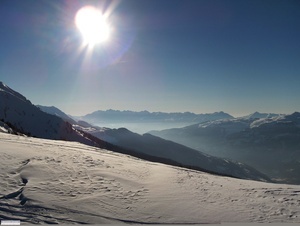 We skied La Plagne last year and are going again next week. We were/are actually based in Belle Plagne, which is a smaller village and much prettier (architecturally) than La Plagne Centre. Our two boys (9 and 7) go to the ESF ski school who are in Belle Plagne also. So it's easy to drop off in the morning (relative to where you are staying) and then hit the slopes. 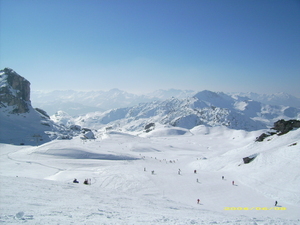 The only thing we found is that you have to plan your skiing if you are going over to Plagne Centre ski area as you can get caught out trying to get back for midday. Lesen Sie 108 andere Beurteilungen ueber La Plagne oder geben Sie Ihre eigene Bewertung ab.